From a cherubic child artist, to a big time movie superstar – Hansika Motwani has traveled a long way! Hansika was first seen on the telly as one of the naughty flock in the hit series ‘Shaka Laka Boom Boom’. She then moved on to the big screen and worked with big names like Hrithik Roshan and Priety Zinta in the movie ‘Koi Mil Gaya’. There has been no looking back for this beauty. Today, Hansika Motwani is the reigning queen of the South Indian film industry. She made her Tollywood debut in 2007 and has been riding a wave of popularity since then. She has also worked in Bollywood in the movie ‘Aap Ka Suroor’ with actor/singer Himesh Reshammiya. 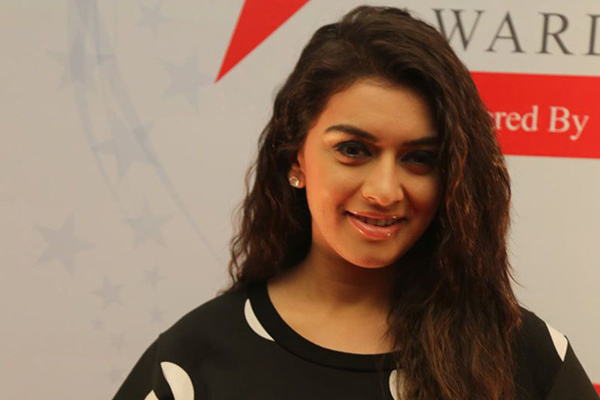 Apart from being a good actress, Hansika is popular for her natural beauty. Her innocent child-like smile can pierce even the most stone hearted. It is no wonder that she has a fan base consisting of men and women of all ages. She is so endearing, how can one not like her? Her whole persona is that of a child-woman. She did face criticism for her chubby figure, but like a good sport, Hansika took the criticism in good spirit and today flaunts a svelte body. Unlike other divas, Hansika prefers to be makeup free as much as possible. And why not? She has flawless skin that shines with good health and youth. Why would she hide it behind layers of makeup? So here we give you 10 instances of Hansika Motwani without makeup looking her best! 1. Hansika – A Fitness Freak! Yes, Hansika is a fitness freak! She follows a rigorous workout regimen combined with a healthy diet. That is the secret behind her new found svelte figure and beautiful face. And her skin looks as fresh as ever! Got to love a girl who can carry a good accessory! Hansika likes to carry all things important in one place. In this picture, she has turned the humble sling into a fashion statement. Convenience and style! This candid picture shows the fun loving actress living it up with her friends. She looks gorgeous in the black dress even without makeup. This casual avatar is very sensuous and appealing. Her well toned body is accentuated by the cut of the dress. At a media event, Hansika carries the casual and smart look with aplomb. Black is her favourite colour and the combination with blue really looks awesome. The glares complete the whole sporty look. Here you can see a fresh and new look for a photo shoot. 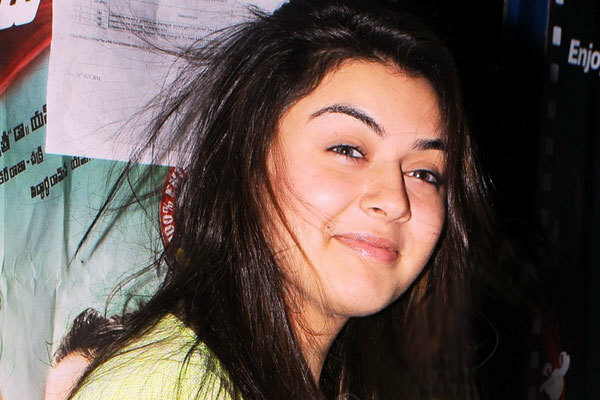 This picture is a perfect example of why Hansika needs no makeup. Her skin is glowing and body looks perfect. And the high heels just look amazing! A simple and stylish girl next door look highlights her innocent face; and her smile is as endearing as ever. This still is from a movie but is a perfect example of a no makeup look. Hansika likes to experiment with colours. And her love for bangs is well known. In this pic, her hair is casually done and she has zero makeup on and still manages to look like a million dollars! Hansika does not behave like the usual diva. No location is too harsh for her and no stunt too tough! She is a badass actress who loves challenges. This picture is from an outdoor shoot and Hansika looks absolutely ravishing here. Yet again, at a media event, you can see how Hansika looks so down to earth without compromising on style. The glow you see here is completely natural- no need for chemical laden blush on! 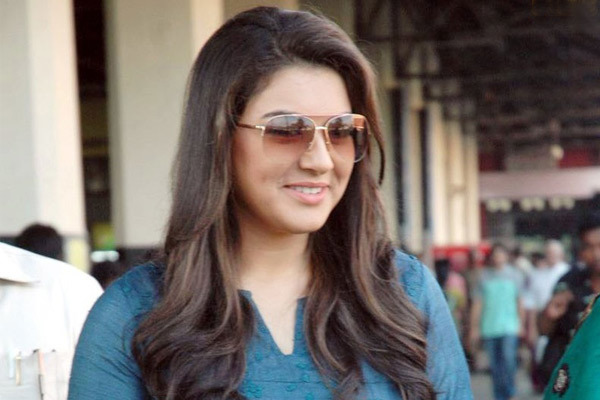 Hansika looks graceful and stylish, no matter how casual her overall look is. Her natural beauty does not need brushes and lipsticks, it shines out anyways. Here her hair looks natural and she looks comfortable in this simple blow dried look. Hansika Motwani is a hardworking actress. She works on her acting skills and also her body. The one thing she does not need to work on is her face. That is a God given gift! Now what is your verdict on these pictures of Hansika without makeup! Do share your comments with us!